How Can I Swap My Student Loan Debt for a Promissory Note Instead? Home > Ask The Get Out of Debt Experts > How Can I Swap My Student Loan Debt for a Promissory Note Instead? How can I find out which bank has the loan for my student loans? I know that FedLoan Servicing is actually servicing the loan but I would like to know how I can find out which bank/ government office has financed the loan so that I can write them a promissory note. If your student loan is federal, it is the federal government that financed it, and likely the Department of Education would be the party you are ultimately looking for. Basically, if your loan appears on NSLDS, it is federal. 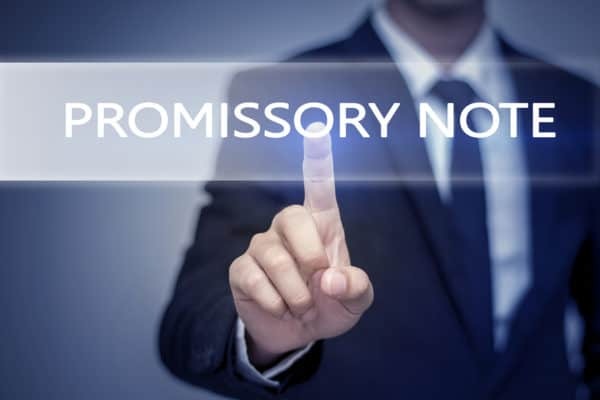 What kind of Promissory Note are you looking at sending them? Is this part of the same old debt denying shtick where you assume you are creating a negotiable instrument based on the existence of your social security number, or the existence of some federal account that only few people know exists? If that is the road you are going down, it is a dead end. You will not end up paying off the loans, and could land in hot water for your trouble. There are more constructive ways to tilt at windmills. And there are alternatives for repaying federal student loans that do not involve uttering fictitious instruments. Michael Bovee founded CRN, a unique company offering debt negotiation education and services, in 2004. Bovee has been contributing articles and free reader feedback on this site for several years. Michael is a debt industry professional who has volunteered his time to help answer reader questions. If you have a debt related question you’d like to ask our team, just use the online form. Michael is an experienced debt expert and can be found online at Consumer Recovery Network.